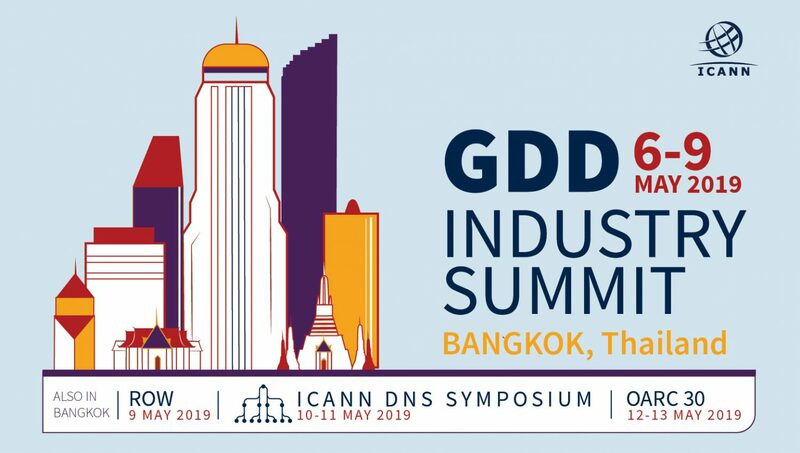 Join the ICANN organization’s Global Domains Division, ICANN accredited registrars and gTLD registries in a three-day summit to be held 6-9 May 2019, in Bangkok, Thailand. The GDD Industry Summit provides contracted parties an opportunity to engage and address issues of mutual interest and importance. This forum enables direct and one-on-one interaction with members of the ICANNorg’s GDD team. It is not a typical ICANN meeting, nor is it solely intended for discussions of policy.